Most people dread the possibility of a will contest. A contest can take years to resolve, but they are expensive to defend. As a result, there is usually much less money left in the estate to distribute to heirs after a lengthy will contest. To dissuade people from challenging a will, many lawyers started including no-contest clauses in their wills. These clauses basically stated that if a beneficiary under the will challenged it, then they would not receive anything. This provision created an incentive to leave the will alone and forgo a challenge. 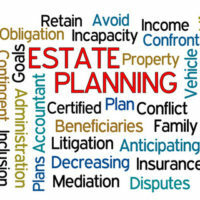 As experienced elder law attorneys in The Villages, we have created estate plans for many satisfied clients. As part of our practice, we can draft a will that meets your needs. But should you include a no-contest clause? There is a simple reason not to include a no-contest clause. Under Florida Statute §732.517, any no-contest clause is unenforceable in a will. A different statute makes them invalid in a trust as well. These laws make Florida a bit of an outlier, as other states will consider enforcing the clauses under certain circumstances. Nevertheless, many people in Florida still want to insert these clauses in their wills, probably to try and scare off anyone thinking of challenging the will. Unfortunately, a person who really wants to bring a lawsuit is not going to let an ineffective sentence keep them from plowing ahead. Include a mediation clause in your legal documents, which can minimize the costs of resolving any dispute. Execute a self-proving affidavit which can head off any claim that the will is not authentic. Create separate trusts for any beneficiaries who you think might pose a problem. Use trust protector provisions, where you name someone who can watch over the trustee and move to terminate them if they commit malfeasance. Another thing you can do is hire an experienced attorney who can draft a will or trust that will stand up to judicial scrutiny. An attorney will know how to document your competency and find people to effectively witness the will. These steps don’t guarantee that a frivolous lawsuit won’t be filed. But it would be a rare person who chooses to lose thousands of dollars in attorney fees without a realistic chance of winning the lawsuit, and many lawyers will refuse to represent such a person. If you are pulling together an estate plan, you need the kind of careful legal help that can create airtight legal documents. At Millhorn Elder Law Planning Group, we have drafted wills and trusts for many residents of The Villages. Contact us today. We offer a free initial consultation where you can discuss the goals for your estate plan. We can then advise you about how to achieve your objectives in an effective manner. Call 800-743-9732 or send us an online message.